I think it was Friday that I have decided to delete my blog account in Friendster. Its just hassle to maintain it even it has the same content with my main blog. Anyway, I made some changes in my blog advertisement. I have noticed that my former advertisement provider isn’t doing well for me. I have decided to try Amazon ads. So far the design and layout looks well on my blog and it has much appeal compared to my text advertisement. It’s funny that I wrote something about Thalia then my advertisements displayed Mexican soap opera’s DVDs. Cool huh! My advertisements relate to what I write. …I finally finished reading the book “A Million Little Pieces” by James Frey last Thursday. My book review on it is still in the works though. 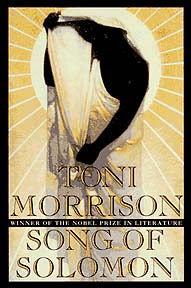 I started reading a book this afternoon by Toni Morrison, “Song Of Solomon.” I hope to enjoy this book even it was written before I was born and I’m not familiar with racial issues. I did a critique on that book when I was in High School.